Zeon: Interesting. Is the same fibre used and split with a Prism or two separate fibres? There are two fibres in a standard UFB installation. Chorus does provide a secondary service for ports 2-4 on the ONT but not sure who sells it yet. If you get an ISP on as a secondary service and then terminate the primary service, what will happen to the secondary one? Move to port 1? Become a primary on port 2? Get cancelled as well and need to be reprovisioned on the first port negating any attempt at eliminating downtime? richms: If you get an ISP on as a secondary service and then terminate the primary service, what will happen to the secondary one? Move to port 1? Become a primary on port 2? Get cancelled as well and need to be reprovisioned on the first port negating any attempt at eliminating downtime? The ISP is supposed to promote the secondary service to primary within 7 days or it will be disconnected. Don't know what will happen to the port allocation though. sbiddle: No. If you want a 2nd connection a new ONT will be installed. its like buying a car with 4 seats but being told you can only use one of them at a time and carry no passengers. This has to be the worst analogy I've ever read. It's nothing like that. Firstly Chorus does now offer a service. Secondly no matter how the service is offered, the way a GPON network works quite simply means installing two primary services on a single ONT will always face limitations and is quite frankly the wrong approach to take and is really just a dumb solution to a problem. 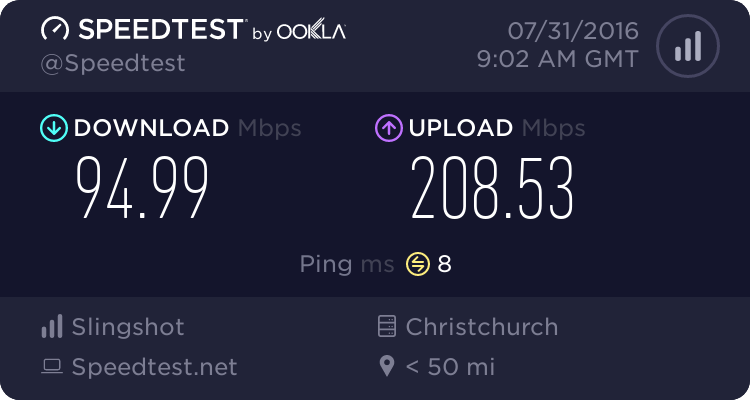 A true GPON split at the optical splitter for the connection is always going to be the best solution. Multiple ports were designed for supplementary services, ie an alarm company or an IPTV provider to deliver services to the householder.